Northumberland CVA can help you find a volunteering opportunity. There are many different volunteering roles across Northumberland and we have a wide range of opportunities on our website. Click here and see the exciting opportunities available in your community and other information to help you with your volunteering journey. Are you an organisation that involves volunteers or would like to? 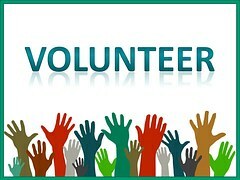 Northumberland CVA can offer support and information to any volunteer involving organisation, large or small, whether it is help finding volunteers or advice on good practice in volunteer management. Click here for information for organisations that involve volunteers.